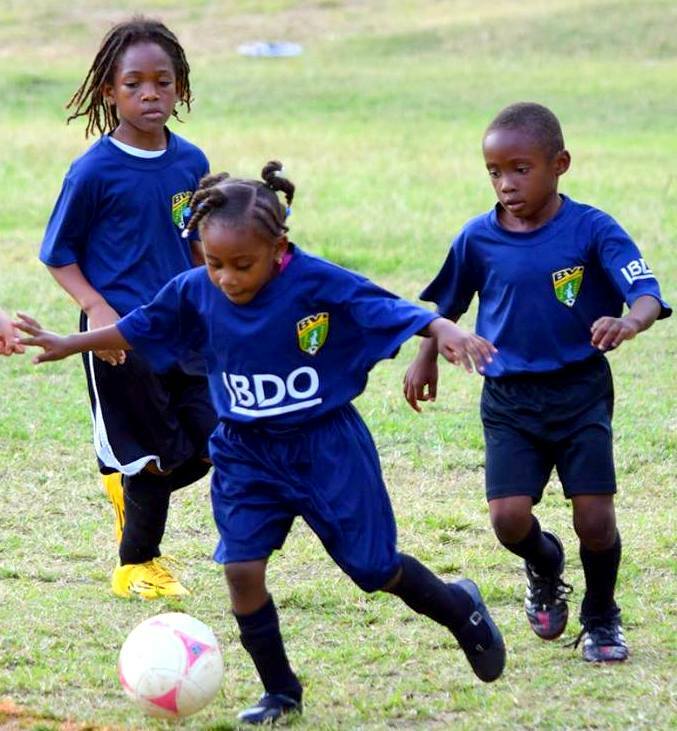 BVI Football Association » As the action in the BDO Sponsored Primary School Leagues continued to hot up the local football scene. Future National Team Strikers began to serve notice on who was serious contenders for the Golden Boots. In the U12’s, Orett Kennedy continued his goal scoring spree as his brace sent First Impressions on their way to a 5-0 win over St Georges Green. Daniel Manning, Marc Tan and Adrian Sherone also scoring and then Kennedy repeated the effort as his two goals saw FIPS secure a 3-3 draw with Joyce Samuel Primary. Michael Findley replied with a hat trick for JSPS after Kennedy’s first goal had put FIPS ahead. Daniel Manning made it 3-2 and with time running out Kennedy popped up to net the equalizer. Alexandrina Maduro got another win under their belts, 3-0 against Pelican Gate with goals coming from Delvin Freeman, Khamari Smith and Kymani Campbell. Althea Scatliffe benefitted from an own goal to share the points in a 1-1 after Miseal Venzen of St Georges Black had put his team ahead. In U9 action, Begrado Flax beat Cedar School, 3-1, courtesy of two goals from Kyle Farrington and one from Nicholas Moore. Blake Kirk had made it 1-1 with his first half strike. Althea Scatliffe Maroons, Willard Wheatley 3-0 as Othniel Gillings scored twice either side of a Tiondre Frett strike and Cedar School beat Pelican Gate, 4-1 on the back of four goals from Blake Kirk, whilst Niklaus Vergel scored for the Pelicans. AMPS/ Agape beat First Impressions, 7-0 with Jaheim Bijai scoring three, Kenley Williams one, Elijah Maduro one, Caleb Toussaint one and Rushane Dixon also one. ASPS Maroons beat SDA 7-0 as Gillings netted four and Latriel Williams three. 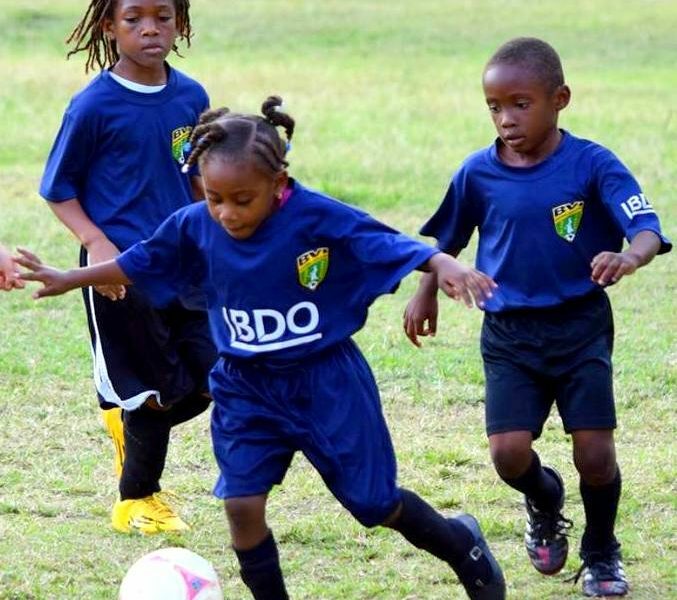 In U7’s, Enid/Althea Scatliffe Reds drew 1-1 with AMPS as Bryson Walters opener in the 11th minute was cancelled out by a 21st minute goal from Kester Agard and then drew 0-0 with Seventh Day Adventist School, before AMPS Blacks beat SDA 2-0 with Alessandro Peters scoring both goals. St Georges overcame AMPS, 2-1 as Demauri Turnbull and Devonte Smith replied after Amari Goodwill had given AMPS an early lead. Peters then netted a hat trick as AMPS Black then beat Pelican Gate 4-0. Johnathon Bijai scoring the other goal and BFEC beat AMPS Olives with Liam Munn scoring twice and Mayan Baptiste also on the score sheet in a 3-0 victory.